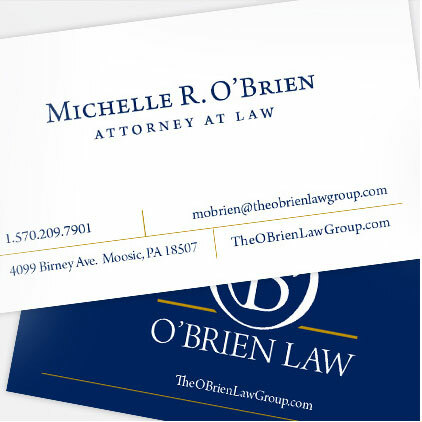 The O’Brien Law Group is a boutique transactional firm, specializing in oil and gas, real estate, business and commercial lending law in Northeast Pennsylvania. 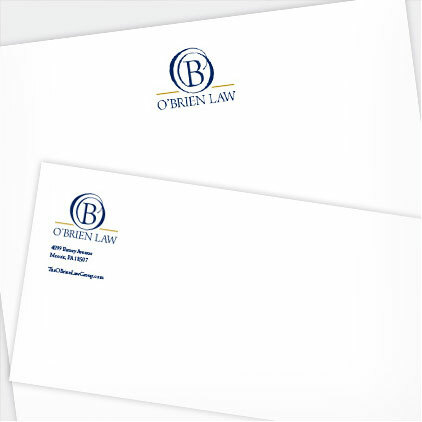 Established in 2009, the law group recently decided it needed a brand refresh and selected the BlackOut Design team for a new logo, letterhead and business card design. The minimalist design and crisp color palette present a professional first impression to prospective clients.